The 2018 hurricane system has begun with the first storm, named Alberto. It came early, on Memorial Day weekend. The official start of the season is June 1. Louisiana escaped this storm, for it made its way to Florida and Alabama. Everyone familiar with these storms knows how they can affect people’s lives, so there is always concern for those in its path. Hurricane preparation needs to begin immediately. Last year, 2017, was one of the most disastrous hurricane seasons on record. Three named hurricanes were responsible for the damage: Harvey, Irma, and Maria. 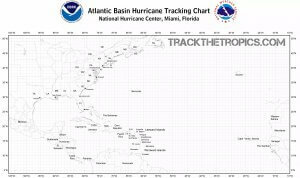 The Atlantic season runs from June 1 to November 30, with mid-August to late October being the most active times. The forecast for this season calls for 10-16 named storms, and five to nine hurricanes, reports the National Oceanic and Atmospheric Administration. They predict a near, or above-normal season. Last year was extremely active, but there is no climate signal about this year’s activity. Start planning now so that you and your family are prepared. Many resources, from the National Weather Service to the Federal Emergency Management Agency (FEMA) offer tips to help keep you and your loved ones safe in an emergency. 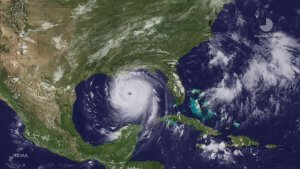 The Louisiana Governor’s Office family plan has important tips to aid in hurricane preparation. Everything from flashlights, battery-powered radios, bottled water, canned food, clothing and personal items should go in it. Do not forget to pack food for pets and other supplies. Put important documents like identification papers, proof of residences, deeds, wills, etc. in an air-tight container. Have a personal evacuation plan. Know where you can go in case of evacuation. Know the routes you can take if roads are closed. Listen to the National Oceanic and Atmospheric Administration (NOAA) for storm updates and evacuation instructions. If told to evacuate, do so immediately. Prepare your home for winds and rain. Bring anything inside that would be picked up in the air. Fill your car’s gas tank, recheck supplies and medications. If you are not advised to leave: stay indoors, away from windows. If a WARNING is issued, be careful of the “eye” of the storm, or when it becomes calm. The worst part of the storm happens once the eye passes over. Also watch for tornadoes, which can form, and stay indoors in the center of your home. Watch for flooding, and, if necessary, get to higher ground. Besides preparing to protect your loved ones and your home, you may have to prepare for those with special needs. (Download the Special Needs Guide) Be sure to check with health professionals and places to go ahead of time. Social media can help you stay up to date with emergency information. You can connect with the Governor’s Office (Get a Game Plan) through Twitter, Facebook , YouTube , and Flickr. As Louisianians, you have lived with hurricanes and storms all of your lives. You may feel that you know everything about the preparations you need to make. If an accident happens, it is important to consult with an experienced Louisiana personal injury lawyer. L. Clayton Burgess can advise you about your legal rights. Contact us for a FREE, no-obligation consultation at 1-877-234-7573. We can help you with all of your questions and get the help you need.